The meta description of your page has a length of 130 characters. Most search engines will truncate meta descriptions to 160 characters. 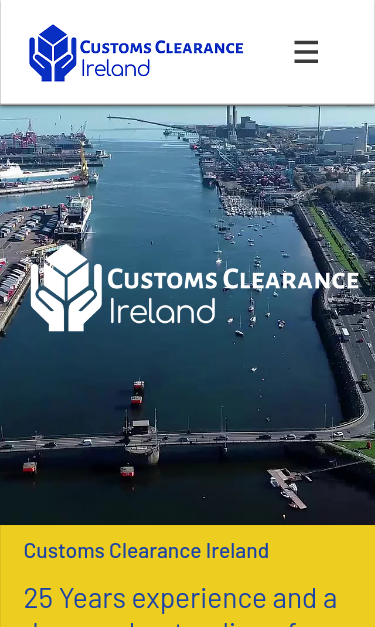 Customs Clearance Ireland is the leading Customs Brokers in Ireland. Experts in Customs Clearance, Intrastat & Freight Forwarding. Congratulations! Your webpage is successfully compressed using gzip compression on your code. Your HTML is compressed from 1112.09 Kb to 132.87 Kb (88% size savings). This helps ensure a faster loading webpage and improved user experience. Your website loading time is around 3.1 seconds and this is under the average loading speed which is 5 seconds. https://www.customsclearanceireland.ie and https://customsclearanceireland.ie resolve to the same URL. A @media rule specifies the target media types of a set of statements. In the example above, we are specifying the media type screen. The max-width and min-width features are telling the browser that at any screen size larger than 480px, but smaller than 960px, hide any elements with id="header".